plot to plot the simulation results. Zelig 5 introduced reference classes. These enable a different way of working with Zelig that is detailed in a separate vignette. Directly using the reference class architecture is optional. Let’s walk through an example. This example uses the swiss dataset. It contains data on fertility and socioeconomic factors in Switzerland’s 47 French-speaking provinces in 1888 (Mosteller and Tukey, 1977, 549-551). 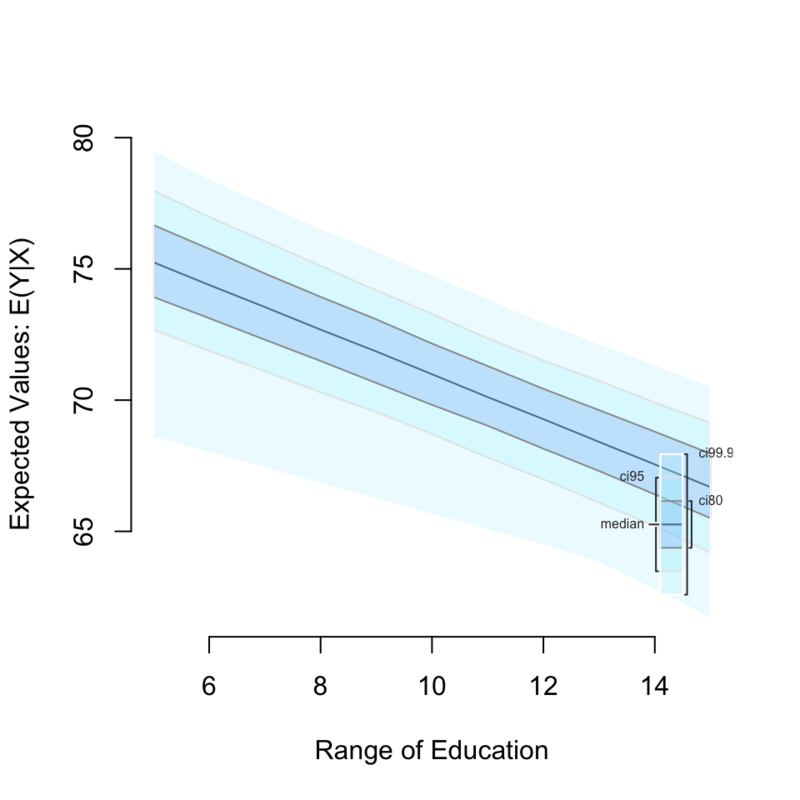 We will model the effect of education on fertility, where education is measured as the percent of draftees with education beyond primary school and fertility is measured using the common standardized fertility measure (see Muehlenbein (2010, 80-81) for details). If you haven’t already done so, open your R console and install Zelig. We recommend installing Zelig with the zeligverse package. This installs core Zelig and ancillary packages at once. At this point, we’ve estimated a model, set the predictor value, and estimated easily interpretable quantities of interest. 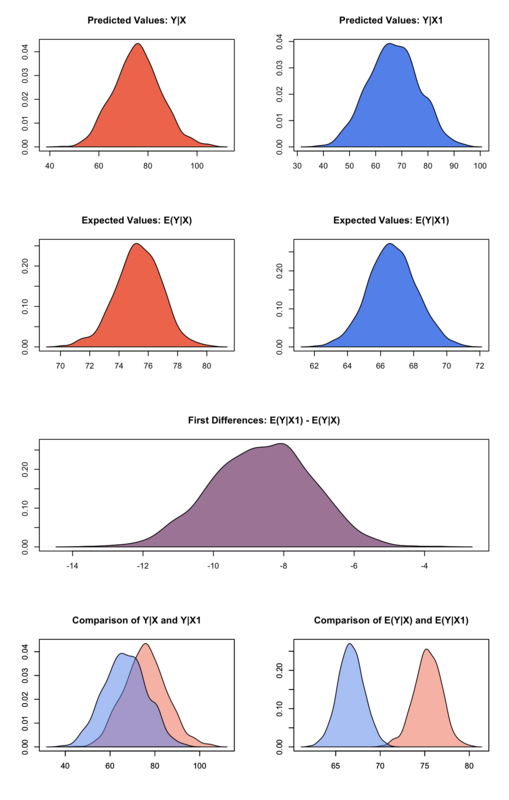 The summary() method shows us our quantities of interest, namely, our expected and predicted values at each level of education, as well as our first differences–the difference in expected values at the set levels of education. The primary documentation for Zelig is available at: http://docs.zeligproject.org/articles/. Developed by Christine Choirat, Christopher Gandrud, James Honaker, Kosuke Imai, Gary King, Olivia Lau.